Water damage can cause a lot of anxiety and result in unexpected expense, structural damage and other loss. Any number of things can happen to cause water to flow into your property, such as when a pipe bursts, a washer overflows, or the sump pump backs up; even heavy rains can cause flooding to occur. 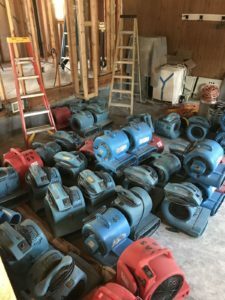 The mess left in the wake of water damage can be a nightmare. The more you know about water damage, the better equipped you will be to handle the aftermath, and quick action is imperative. First, you must seek professional help. 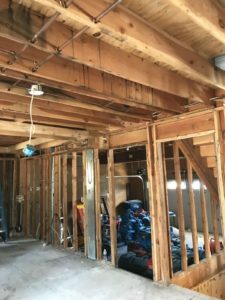 No matter the square footage involved, or whether it’s your home or business, a professional water remediation company will have the knowledge and expertise to remove the water and dry the area quickly and efficiently. The skilled and certified technicians at AAS Restoration will set up and monitor the drying process through every phase, including extraction and pumping of the water, state-of-the-art speed drying, and diagnostic equipment for testing water saturation, as well as mildew and bacteria control through the use of industry-proven techniques and tools. 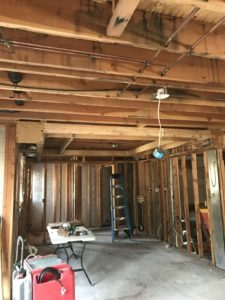 Water will be thoroughly removed from deep within the walls, floors, and contents of your property to avoid potentially hazardous problems in the future. 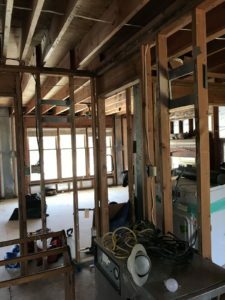 Secondary damage from mold growth can present serious health risks associated with mold development so environmental remediation is critically important. Mold spores need moisture and a nutrient source to grow and wet carpeting and drywall offer the perfect environment. You have a 24 to 48-hour window of time to remove the water before mold develops and begins to grow rapidly. Not all insurance companies cover water damage, there may be certain restrictions pertaining to water damage, so it’s a good idea to review your homeowner’s policy or call your agent right away. If you live in a dedicated flood zone, you may be required to carry an extra policy for that exclusive purpose. Making sure you know the type and extent of coverage you carry in advance of the event is a good idea, too. But if the worst happens, and you do sustain water damage, call your insurance company right away so to claims process can begin. Your agent will guide you further in what steps to take, and may even make recommendations for a professional service in your area. 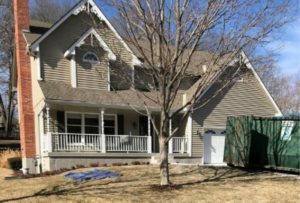 AAS Restoration & Roofing is available 24 hours a day, 7 days a week with a staff of experienced, certified, and professionally-trained technicians to serve the Kansas City Metro area. Call us at (816) 861-1550 and we will provide you with options for water damage in the Kansas City area.